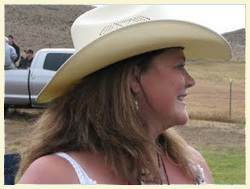 For over fifteen years Kim Stocking and her band have entertained Idaho's Wood River Valley and beyond. With a musical style encompassing country, rock, folk, and bluegrass, and songs ranging from modern favorites to 50s and 60s classics, this band is sure to please any crowd. This group of musicians is equally at home playing a barn dance in Bellevue or a company party at the Sun Valley Resort. This summer we were thrilled to welcome Kim's sister Ember Jensen back into the band! Ember and Kim have been harmonizing since they were kids, and their chemistry was a major component of the early years of the band. After eight years Ember has returned to us, and she has never sounded better.